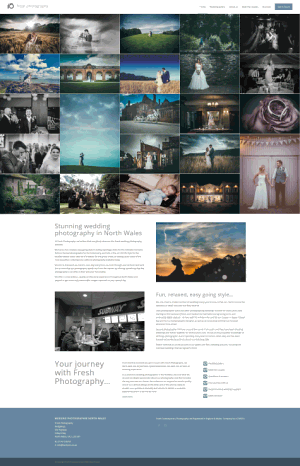 The service: High quality wedding photography in North Wales. The brief: Create a new website for the client that shows off his photography to maximum effect and complements the style of his work. Our approach:We agreed early on with the client that top half of the home page would be dominated by a collage of his work in the form of a masonry gallery. There would also be extensive galleries and blog sections to the website. We enhanced the SEO to attain highly natural rankings on Google and made the site fully responsive for mobile and tablet browsing. 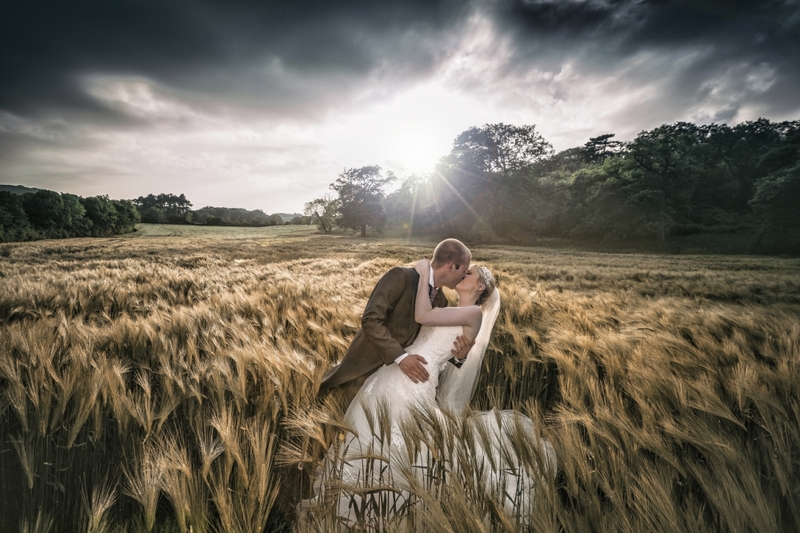 I recently had a complete ground-up rebuild of my wedding photography website (freshpics.co.uk) and used David and his team after meeting David on an SEO course that he was running. Every single idea that I had was implemented quickly and efficiently and every idea that was presented to me was explained thoroughly and had a reason to be there. After the website was built my Google rankings jumped up overnight and continue to rise under their management. I really can’t recommend WebMedia Chester highly enough. Their attention to detail and helpfulness at every stage of the process from the initial idea to the hosting and launch of the final product was exemplary. Response time to emails was instant at any time of the day or night (night being the time when I’m normally available) and the communication was exemplary. Having had a previously poor experience with my former web developers it was refreshing to find someone who actually listens to the ideas that I put forward and implements them in a timely and cost effective manner. The icing on the cake was a video tutorial which David produced to walk me through how to update my website on my own. An absolutely invaluable service which was offered free of charge after the website went live. To summarise, if you’re looking for a top quality website at an extremely competitive price then WebMedia Chester should be your first port of call. I need another website setting up and will be in touch with David very soon indeed.